If you choose the right contests during your job search, you'll always be a winner. Two of the participants in the 3rd Annual JobMob Guest Blogging Contest achieved more from than the contest than they had hoped for, as they emailed to tell me. It seems like the contest is coming to an end. Thanks for the opportunity, it was fun, I learned a lot and I gained a whole bunch. I'm glad we were all able to bring some good traffic to your site, I know many more people looked at my post after the contest. Among the things the blog was able to help with include interviews, a freelance project, I know I became the topic of water cooler discussion at a company where I interviewed about 6 different times at which I was invited for another interview recently. Also it was a good excuse to get in touch with contacts to maintain the network active. Maybe we should think of a follow up guest blog??? David and I met over Twitter in June 2009 when we chatted about personal websites. He recontacted me during the summer to show and tell what he'd accomplished, and I'd liked what he said so much that I suggested he put his insight into a guest post for the contest. The result was 9 Thoughts On Branding Yourself With A Personal Website For Your Job Search. David's article impressed Jason Alba so much that he blogged about David on the JibberJobber Blog. 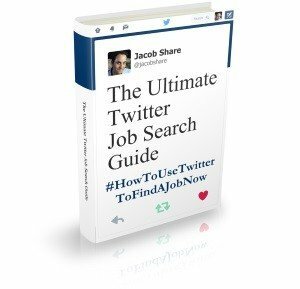 I am totally blown-away from the guest post on JobMob! TOTALLY BLOWN-AWAY. The direct responses from readers has been unreal. I never expected the accolades – never anticipated, nor expected any of it. The best part is others have questions, want to know more of the why, how, what-about's, etc….. giving me the chance to be of service to them! Thank you for suggesting I do the guest blog. Abundance, humbled, fulfilled, grateful are some heart-felt words that come to mind. 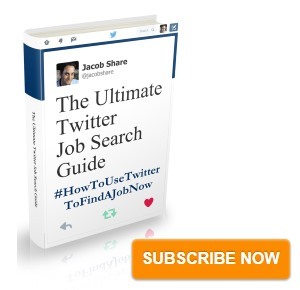 Subscribe to JobMob via RSS or email and follow me on Twitter for other ways that contests can help your job search. Jacob – Thanks for giving us all an opportunity to share our ideas. I really enjoyed reading the other articles as well . . . keep up the great community building! I’ve never won the Guest Blogging Contest, but I’ve always made some great contacts.